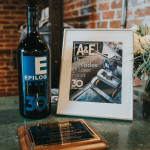 Epilog Laser recently celebrated the company’s 30th anniversary at Denver’s Mile High Station, USA, following the company’s two-day North American Sales Meeting. 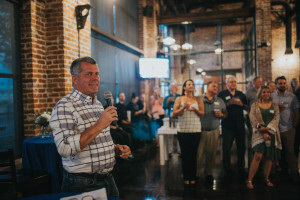 Epilog Laser got its start in 1988 when two Georgia Tech buddies – Steve Garnier and John Doran, Epilog’s president and CEO and vice president of engineering, respectively – combined their talents to create the industry’s first small-format, computer-controlled laser engraving and cutting system. Dean came on board not long after and the trio worked tirelessly to become game-changers in the laser engraving space. In issue three (11 September) we look back on the thirty years of existence with Mike Dean and Emma Oltmans, Marketing Manager EMEA.